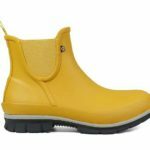 The new Ahnu Montara Lux Insulated Boot is just what we all need right now, while we are being blasted with Arctic weather. These boots are cozy and warm, and comfortable. 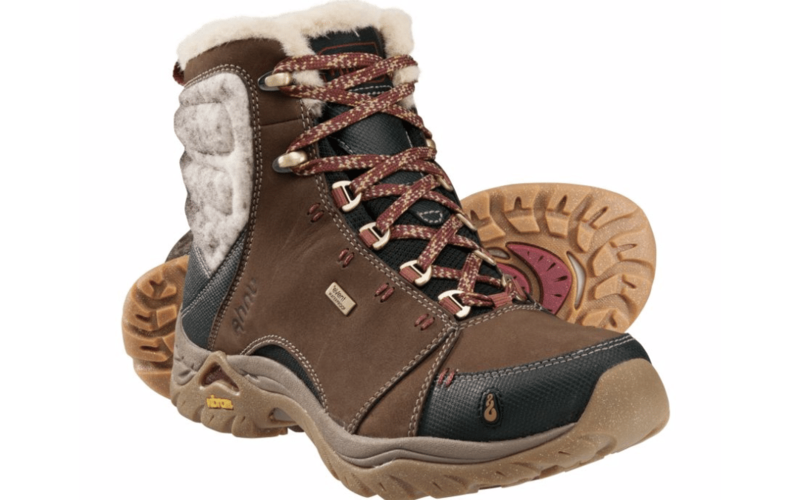 Waterproof nubuck and 200 grams of thinsulate keep your feet nice and warm in snow and cold temps. 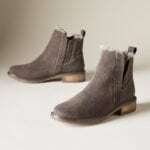 That cool design you see on the side is Italian wool treated for water resistance, it lends some style to the boot. If you look closely at the soles, there are little sparkles. It’s not something anyone would notice but you, if you look for it, but it adds some fun to the boot. These are not clunky winter boots. They are low profile and more like a light hiking boot in form. Ahnu is a master at keeping footwear to a minimum while providing big comfort and function. Arch support in these is fantastic. I love both colors, but especially the black version of the Montara Lux. The faux shearling feels nice and the burgundy contrast in the laces and sole makes them look wintery to me. They’re sleek and match all my winter travel clothes. 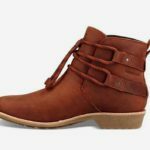 These are great winter boots that offer some fashion and something you could wear all day inside and out. 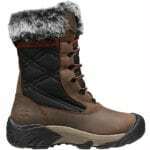 Find the Ahnu Montara Lux Insulated Boot HERE.